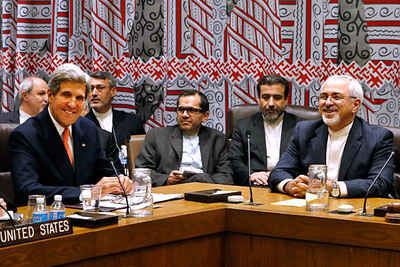 What's Next for the Iran Deal? This article originally appeared in The National Interest under the title, "Obama's Middle East Policy is Causing Problems for Donald Trump." It has been lightly edited for clarity. President Trump reluctantly agreed to recertify the nuclear deal with Iran in July, but he indicated that he would not do so again in October. He will likely keep his word and not certify the agreement this week because it is not in the U.S. national-security interest to do so, according to recent media reports. In fact, the Associated Press reported that the president will likely announce the decertification in an Iran policy speech that he is tentatively set to deliver on October 12. Forecasting this decision led to much speculation over what it might mean for the future of the agreement that the Obama administration sealed in 2015 over the opposition of the American public. Although the move represents a major step in undoing Obama's chief foreign-policy legacy that reoriented America away from its traditional regional allies and towards Iran, many are now asking, "What does this move mean and what comes next?" The short answer is that decertifying the agreement doesn't necessarily kill the deal, but that action could be used as leverage to negotiate badly needed patches to the gaping holes in the agreement on areas including verification, ballistic missiles and the sunset clauses. If the amorphous structure of the deal is to be maintained, then those fixes are necessary to arrive at an agreement that might be in America's interest. Left untouched, the nuclear agreement ensures—rather than prevents—Iran from getting nuclear weapons in the future. It bears noting that there are no surprises here to those familiar with the deal. Many warned of these fatal flaws during the negotiations in 2014 and 2015. I wrote one of many such articles describing the deficiencies and proposing solutions for The National Interest in March 2015, months before the deal was finalized. Apparently, Team Obama was also aware that it would face a blowback because they promised to seal a deal that was substantially different than what it ultimately delivered. Put another way, the Obama administration not only effectively pulled a bait-and-switch on the vehicle it promised to deliver, it sold the public on the safety features of defective airbags. The JCPOA is the main multilateral agreement negotiated between Iran and the P5+1 (United States, Russia, China, Britain, France and Germany) that deals only with the nuclear issue. It is an unsigned, nonbinding political commitment, as the State Department assistant secretary for legislative affairs clarified in a November 2015 letter to former Rep. Mike Pompeo. Its structure also means that President Trump can walk away from the commitment and reinstate the sanctions lifted by Mr. Obama's executive orders for any reason and at any time. UN Security Council resolution 2231 (UNSCR 2231) locked in the deal internationally and has additional provisions and restrictions pertaining to Iran's odious behavior outside of the JCPOA, such as its ballistic-missiles development and other reprehensible regional activities. Finally, there's the Iran Nuclear Agreement Review Act (INARA) passed by the U.S. Congress in 2015, which gives it oversight of the deal. It is this third aspect of the deal that provides the upcoming opportunity to address the overall shortcomings of the agreement inherent in the JCPOA and UNSCR 2231 and it remains an internal, American requirement that applies only to itself. The INARA obligates the administration to certify every ninety days that the following four key conditions are being met: Iran 1) is verifiably and fully implementing the JCPOA including all related agreements; 2) has not committed an uncured material breach; 3) has not taken any actions to advance its nuclear weapons program; and 4) the "suspension of sanctions related to Iran pursuant to the agreement is . . . vital to the national security interests of the United States." As is readily apparent, the last of the four conditions is more subjective according to the perception of the president and is not a metric based on Iranian compliance with any specific component of the deal. 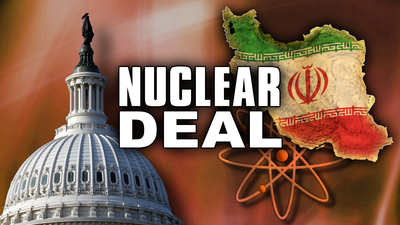 By not certifying Iran, the issue is kicked over to Congress for a sixty-day review. They will have the opportunity to enact legislation through a simple majority to reimpose U.S. sanctions under the expedited procedures laid out in the INARA. Any number of scenarios can take place once Congress takes hold of the issue, regardless of President Trump's wishes. Iran deal supporters are quick to point out that some of those breaches are not included in the JCPOA itself. However, the first INARA condition refers to the JCPOA and all related agreements, which includes UNSCR 2231. That means Iran's ballistic-missile tests and launches, their transfer of arms to Yemen, Syria and Hezbollah, and their recent quest for nuclear technology in Germany all constitute something substantially less than a full implementation of the deal from an American perspective. One of the many false claims put forward by the Obama administration to sell the deal. In reality it would be like hearing, "this parachute works perfectly in ideal weather conditions 70 percent of the way down." That said, the route President Trump appears ready to take is to withhold certification because of the fourth INARA condition—that the deal isn't in America's national-security interest. Making that case will not be difficult, but may come as a shock to those whose Iran deal diet for the last few years consisted solely of soggy Obama administration talking points. For example, Iran has exploited the front-loaded sanctions relief to undermine American interests throughout the region and beyond. 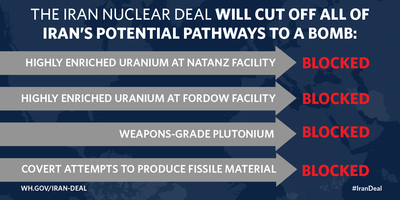 Contrary to the oft-repeated assurances by the Iran deal boosters, it leaves open all of Iran's pathways to a bomb. The International Atomic Energy Agency (IAEA) has been politically coerced into not enforcing the verifications regime by not asking for access to Iranian military facilities that they know Iran will decline to grant. Politically, President Trump faces opposition from Republicans from two camps involved in the debate. We'll call them "the Walkers" and "the Fixers." There are those in Trump's Cabinet who believe that the United States should stay in the deal, including Secretary of State Rex Tillerson, Secretary of Defense James Mattis, and Chairman of the Joint Chiefs of Staff Gen. Joseph Dunford. However, not certifying the INARA conditions and remaining in the deal are not mutually exclusive. That is to say, President Trump will likely not give his stamp of certification, but he won't walk away either, following the guidance of several other key advisers. Nikki Haley, U.S. ambassador to the United Nations, best laid out the case in a recent speech delivered at the American Enterprise Institute. That decision will come as a disappointment to those who would like to see the United States walk away from the nuclear agreement entirely. They are in favor of adopting stricter measures along the lines that Ambassador John Bolton recently suggested because they don't believe any renegotiation of meaningful substance will take place within the deal and that sticking to it poses a danger to the United States. Their case has a lot of merit. Iran has repeatedly stated that there will be no further discussions. As it stands today, there isn't even an understanding between the United States and Europeans over what a fixed deal would look like, much less a common agreement over what constitutes a Iranian breach of the current arrangement. The possibility of getting Russia and China to play along also seems exceedingly remote. And the leverage America creates for itself by not recertifying the deal according to the INARA conditions is peanuts compared to the leverage Obama already sacrificed to seal the defective JCPOA lemon. They ask, "If more robust economic leverage failed to deliver an adequate deal, then how will less leverage deliver something more?" The president will apparently pursue a middle solution between the two poles of the Republican party where noncertification puts Europe and Iran on notice that the United States is prepared to walk away from the deal if new provisions are not added and the flaws remain unfixed. From a political standpoint, it also lessens the controversy involved in the quarterly public certification process and provides an opportunity to change that requirement, which is something he is reportedly keen to pursue. By not certifying Iran, America's threat to walk away from the deal and reimpose of a range of sanctions—pertaining to Iran's nuclear activity or to other behavior—will form the basis of the new leverage to strengthen the deal as many advising him advocate. In policy circles, the idea is called, "waive, decertify and fix." Those more eager to impose costs to Iran add a "slap," making it a "waive, decertify, slap and fix" approach. Provisions keeping sanctions in place are waived, President Trump decertifies the deal according to the INARA, Congress slaps new sanctions on the regime in Tehran, and then they'll attempt to fix the deal. Fixing the fatal flaws in the deal would be a very steep climb for the Trump administration, even during the best of circumstances with the most seasoned diplomats guiding the ship of state. As it stands today, for a variety of reasons, the State Department has gone rogue on the issue of Iran and is in open war with the White House. For the administration's plan to work, the United States will first need to find common ground between the P5+1 members (or as many as possible) and then present a united front to an Iran that has already gorged itself on the front-loaded goodies the Obama administration already gave away. From Tehran's perspective, there will be no carrots enticing enough to renegotiate key provisions of the deal, even though that is precisely what Europe will seek to offer. It will then boil down to sticks—and America may have the only one sufficiently threatening to perhaps coax an Iranian change of heart. That is why many on the political Right are calling for the United States to simply walk away from the deal and move on to the stick approach. They believe any carrot-based approach will be a costly waste of time. There is no pause button. If the United States remains in the agreement while exploring additional means to strengthen the deal, then Iran can simply play for time until the sunset clauses run out. If Iran bolts from the deal in response to America's decertification—which is unlikely given just how lopsidedly beneficial it is for Iran to patiently remain loosely affiliated with the agreement—then all the United States has is a military option that it will need to be prepared to use sooner than later. 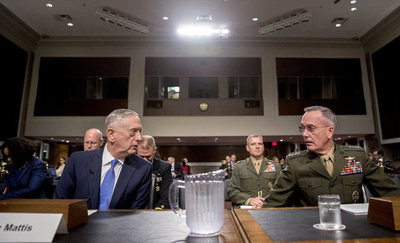 The question then will be: is there a military solution that prevents Iran from acquiring nuclear weapons? While those urging Trump to abandon the agreement entirely must be banking on a military solution as an effective threat and tool of last resort, those who want to remain in the agreement without seeking fixes have fallen through the looking glass and are willing participants in a dangerous fantasy they've come to mistake for reality. It reflects an inability to separate expedient political rhetoric from a technical and policy-based reality that has become increasingly apparent in the past two years. No amount of stale talking points can disguise the deal's shortcomings. One final caveat: President Trump is not known for his conformity to conventional wisdom or thinking, or even the words he has uttered in a sentence or tweet. That means that even though Washington and Europe are gearing up to react to Trump's likely decision not to certify by the October 15 deadline, he can always wake up one morning and decide to pursue a completely different path. As with any administration, the actions taken will speak louder than the promises made. As Yogi Berra used to say, "It ain't over till it's over." It remains to be seen whether President Trump's decision represents a tactical move to placate his political base or is part of a larger U.S. strategic objective regarding Iran and the wider Middle East.